Ferrari's win in Belgium was the 199th of their Formula One history, so from the Japanese Grand Prix, the Maranello squad are hunting their 200th win. It's worth considering that 72 of Ferrari's wins came from Michael Schumacher in the 1996-2006 period. During these years, Eddie Irvine (4 wins), Rubens Barrichello (9) and Felipe Massa (2) also won for Ferrari, totalling 87 wins in only 11 years. Ferrari lead the all-time wins chart by a huge margin. At the moment the situation is: Ferrari at 199, McLaren at 155 and Williams at 113. With two drivers on the podium, Ferrari could become the first team in history to record 600 podium-place finishes. Ferrari currently stand at 598, well in front of McLaren at 415 and Williams at 294. • 11 times out of 14, the driver in the lead at the end of the first lap was the eventual winner. • 10 times out of 14, the pole-sitter has won the race. • 13 times out of 14m McLaren and Ferrari have monopolised the front row of the grid. The only driver with a different car that was able to qualify on the front row is BMW Sauber's Nick Heidfeld, with a second place in Hungary. 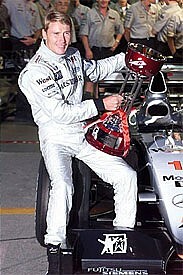 • 14 times out of 14, either McLaren or Ferrari have won a Grand Prix, set pole position, and recorded the fastest lap. Moreover, both teams combined have been in the lead for 98.1% of the total distance of the races run so far. The last time a non-Ferrari/McLaren driver was in the lead was in Turkey, when during the pit stops Heikki Kovalainen was able to run the 21st lap in front of everyone. Jacques Villeneuve (Williams) started from pole position sub-judice because he didn't respect a yellow flag in qualifying, and he has every reason to make things hard for his main rival Michael Schumacher (Ferrari), who started alongside him. At the start the battle was on: Villeneuve squeezed Schumacher on the inside and the German had to slow down following the Canadian into turn one. Schumacher was not in the position to challenge Villeneuve directly, because the latter had nothing to lose, so Eddie Irvine, Schumacher's team-mate goes ahead, passed Villeneuve and escaped in the distance. The field was slowed by the Canadian, who kept all the cars packed behind him in the hope that at the first round of pit stops Michael Schumacher would be trapped in traffic. After six laps run in slow motion, Villeneuve accelerated to make some space prior to his visit to the pits. At the first round of stops Michael Schumacher was able to pass the Canadian (even if Jacques chopped him off blatantly when he comes back on track) and after some laps Ferrari paid Villeneuve back. Irvine was told to slow down, let Schumacher through, waited for Villeneuve and then slowed him down so that Schumacher was able to escape and force Villeneuve into traffic at the second round of stops. The plan worked brilliantly - Schumacher won in front of Frentzen (Williams) and Irvine and a battered Villeneuve was only fourth. It was the last round of the championship, and Mika Hakkinen (McLaren) led Schumacher (Ferrari) by four points. For the German, the only hope to win the title was to win the race with Hakkinen no better than third. Schumacher was on pole, but he stalled on the grid and had to start from the back of the field. He climbed up to second place, but ran over debris and his right-rear tyre exploded, giving the title to Hakkinen, who won the race easily in front of Irvine. On the eve of the Japanese Grand Prix, the driver who faced the greatest pressure was probably Mika Hakkinen. Right after the previous race, the Malaysian round, he was briefly crowned champion because Ferrari was disqualified for using illegal barge boards. 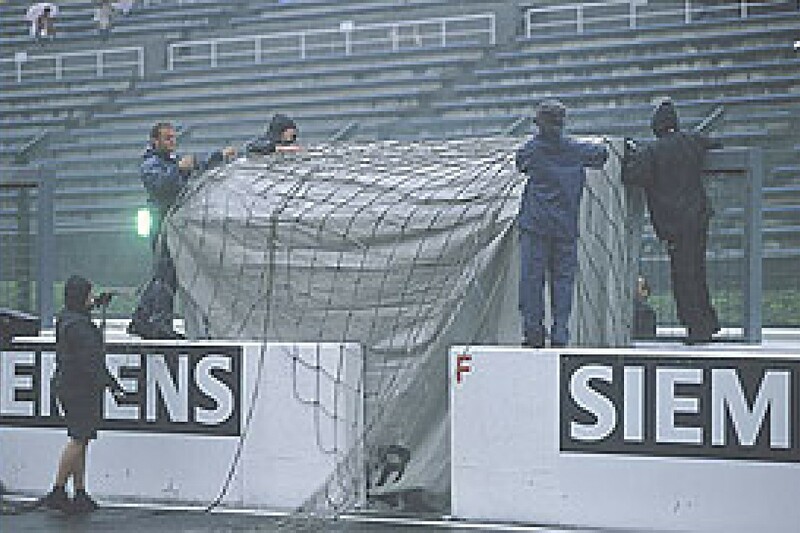 The Finn was then stripped of the title and put in second place in the championship after an FIA hearing gave Ferrari back their points from the race and put Irvine into the lead of the championship by two points with only one race to go. Irvine, however, had little hope of challenging Hakkinen, since he was behind him all year, and only a series of misfortunes for the Finn put the Ferrari driver on top. So Irvine's hope depended upon his teammate, Michael Schumacher. The German scored pole, but at the start Hakkinen was able to go in front and was clearly fastest than Schumacher. He went on to win and secured his second title. Michael Schumacher entered the Japanese weekend with an eight point lead over Hakkinen on the championship table, and was in a position to secure his third title. But his main rival was alongside him on the starting grid, and when the lights went out Hakkinen took the lead, despite the usual Schumacher manoeuvre - a diagonal swerve towards his rival off the start line to prevent a pass. Hakkinen led the first part of the race with Schumacher close behind him, and after the first round of stops the situation remained the same. A few drops of rain fall right before the second scheduled stops, and it was just what Schumacher needed to catch Hakkinen, and then pass him when the latter went in the pits. Schumacher won the race and claimed the title with one race to go. The title had already been decided and the champion, Schumacher, took pole easily, leaving Juan Pablo Montoya (Williams) seven-tenths behind. The German then killed the race in the first laps, gaining a ten second advantage in ten laps and then cruising on to victory. The Ferrari duo of Schumacher and Rubens Barrichello was under criticism after the US Grand Prix, where Barichello won 'by mistake', joining Schumacher in a parade one-two finish and passing him before the finish line, winning the race in front of a puzzled German. He started 14th after a crazy qualifying session decided largely by the weather conditions, and was not comfortable in the middle of the field. hHe crashed into Takuma Sato (BAR) after a few laps and was forced into the pits, and then drove an erratic race, risking another collision with Christiano Da Matta (Toyota). Out in front Barrichello controlled the race and stole vital points from Schumacher's direct rival, Kimi Raikkonen (McLaren). 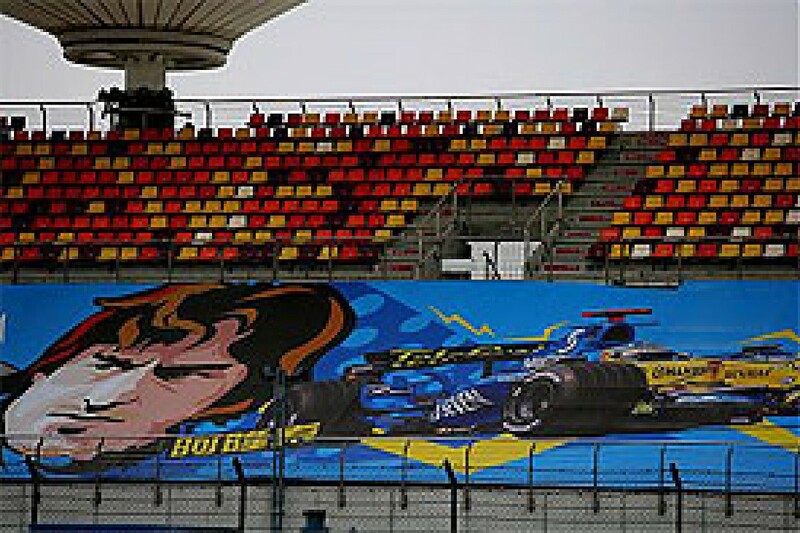 Raikonnen finished second in both the race and in the championship, only two points behind Schumacher. The 'Ma-on' typhoon strikes the Suzuka area on Saturday, causing the qualifying session to be postponed until Sunday morning. The qualifying session was run under changing weather conditions, and with the top drivers taking the track in the rain for their lonely lap, the grid was assigned almost randomly. The first laps were absolutely crazy, with an early accident involving Montoya (McLaren), who was pushed off track by Villeneuve (Sauber), prompting the intervention of the safety car. After the restart, the focus was on Raikkonen (McLaren) and Alonso (Renault), who stormed through the field from 17th and 16th on the grid respectively. They were the class of the field, and were able to reach second and third by the end of the race. But the job was not finished for Raikkonen, who caught Fisichella (Renault), who'd had a trouble-free race out in front, and passed him at the start of the last lap, going on to take the win. 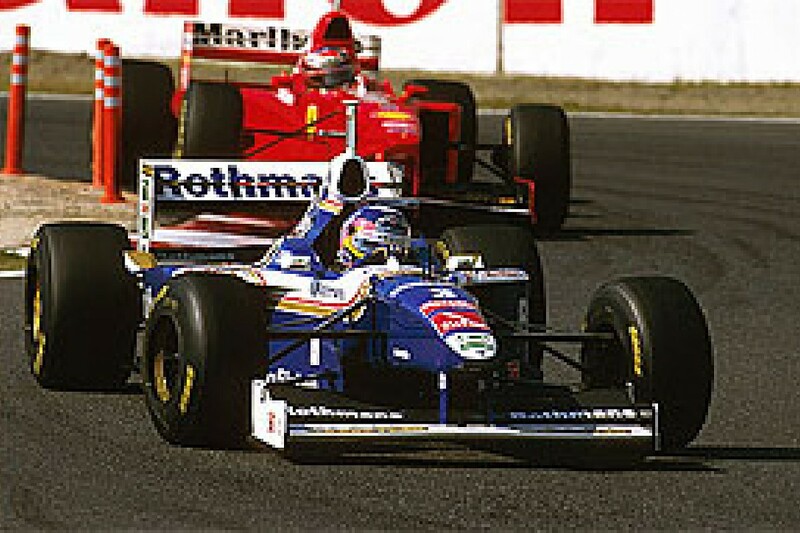 With two races to go and the same number of championship points (but one less win), Schumacher had no other choice but to win the race in front of his rival Alonso. He scored pole and goes in the lead, with his team-mate Felipe Massa in second. Alonso, however, was able to pip Massa at the first round of pit stops and chased Schumacher. The German kept his leading margin until his engine blew for the first time since Magny Cours in 2000, giving the race and a second title to Alonso. • F1 is back at the Fuji circuit for the first time in 30 years. The Fuji track was the first to host the Japanese Grand Prix in 1976 with another race the following year, before Suzuka took over in 1987 and hosted the Japanese Grand Prix until last year. • Japan awarded a maiden win only once out of 22 races run. It happened in 1989, when Alessandro Nannini won his only Grand Prix in a Benetton. • The Japanese Grand Prix was the home of the first podium for a Japanese driver. In 1989, current team owner Aguri Suzuki was third in a Lola/Lamborghini. The only other podium finish for a Japanese driver was recorded almost 24 years later in USA by Takuma Sato in a BAR/Honda. • The Fuji circuit was the home of the first fastest lap recorded by a Japanese driver. Back in 1976, wild card Masahiro Hasemi was the fastest driver in the race with his Kojima/Ford. Again, Japan had to wait a long time before scoring another fastest lap with Satoru Nakajima in a very wet Australian Grand Prix at Adelaide in 1989. 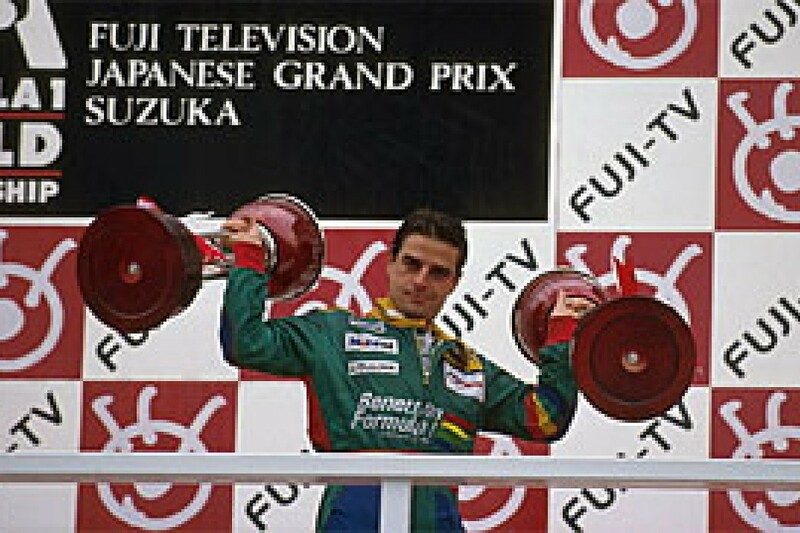 • Giancarlo Fisichella took his most recent podium in Japan one year ago. • Rubens Barrichello scored his most recent fastest lap in Japan the 10th of October 2004. • Fernando Alonso won in Japan in 2006 and was on the podium (third) in 2005, but his best grid position is only a fifth in 2003 and 2006. In 2001, 2004 and 2005 he qualified outside the top ten; respectively 18th, 11th and 16th. • Giancarlo Fisichella took eight attempts to score points in Japan before he managed it in 2004, and he was on the podium in 2005 (second) and 2006 (third). He never qualified on the front row out of ten attempts. • Felipe Massa set pole position last year in his fourth appearance. Before that he always qualified outside the top ten (tenth, 19th, 15th). He was second at the end of the race last year. • Kimi Raikkonen only retired at Suzuka once - his first appearance in 2001, after a spin. From then on he has always scored points, racking up a third in 2002, a second in 2003 and a win in 2005. Yet his best qualifying position out of six appearances is a fourth place in 2002. • Jenson Button scored points in Japan six times out of seven appearances and never retired. His worst result was a seventh in 2001. • Rubens Barrichello won in 2003 and was second in 2002. He counts five retirements out of 14 races run in Japan. He has not scored points in Japan since his win in 2003. 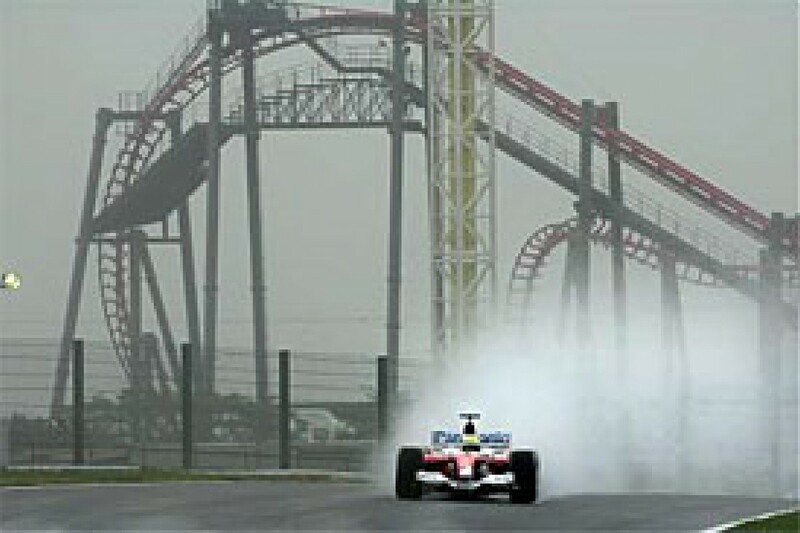 • Nick Heidfeld only managed to score points in 2006; his sixth attempt. • Ralf Schumacher started from pole in 2005 and set fastest lap in 2001 and 2003. He is the only active driver to have scored two fastest laps in Japan. The pole recorded in 2005 the last one set by the German in his career to date. • Jarno Trulli has scored points in Japan only twice (2003 and 2006) out of nine race starts. • Takuma Sato scored points three times (2002, 2003 and 2004) out of five appearances in his home country. • Ferrari won in Japan from 2000 to 2004, scored pole eight times from 1998 onwards (missing out only in 2005) but scored only two fastest laps (in 2002 and 2004) from 2000 onwards. • McLaren's last pole position in Japan dates back 1991 (Gerhard Berger). The Woking-based team have missed the front row in Japan since 2000 (Mika Hakkinen, second), and a top-ten slot in grid since 2004 ( D.Coulthard, eighth). • Williams' last win in Japan was recorded in 1996 (Damon Hill). • Toyota's best result in their home country after five attempts is a sixth place recorded by Jarno Trulli last year. • Fernando Alonso is one race short of the second-longest streak of race-finishes in the points. The Spaniard has been in the points since China 2006, for a total of 17 races, and could equal the 18 race streak recorded only twice in the history of Formula 1. The first time it happened, it was set by Michael Schumacher in a streak running from San Marino 2003 to Spain 2004. The second time it was Alonso, who was in the points from Turkey 2005 to Germany 2006, before retiring in Hungary following a wheel problem after a pit stop. The absolute record belongs to Michael Schumacher, that being from Hungary 2001 to Malaysia 2003, meaning that he was in the points for 24 consecutive races. It's worth considering that from Schumacher's record sequence of 24 races to his second streak of 18 there was only one race, Brazil 2003, where he spun off in a wet race and didn't score points. • McLaren may be out of the constructors' championship, but they will want to see both cars finish in the points. At the moment, McLaren are the only team in history to have all their cars classified in every race of a season. This reliability record in recent times has been established by Ferrari in 2004, when the red cars were able to finish 34 times out of 36 starts. Last pole position for Honda: It will be 30 races in Japan, the last pole for the Japanese manufacturer being Melbourne 2006 (Button). The last podium appearance for Toyota was recorded in the same Grand Prix (R.Schumacher, third).